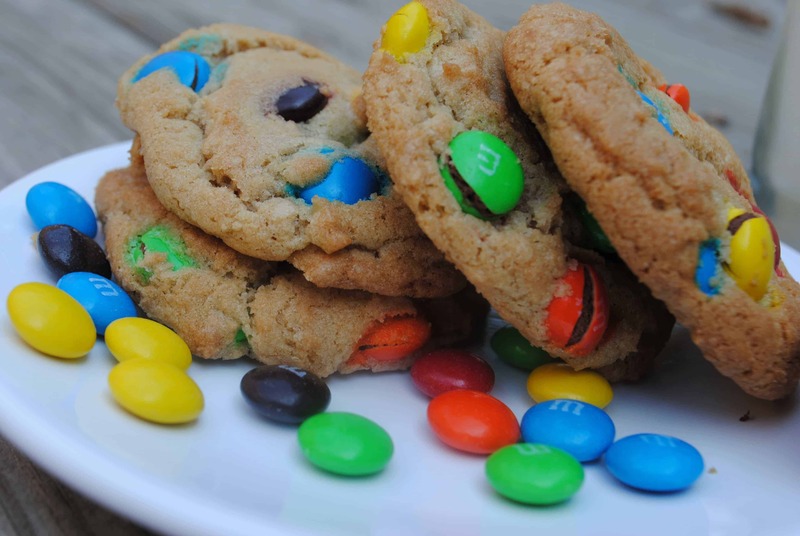 Raise your hand if you love cookies. 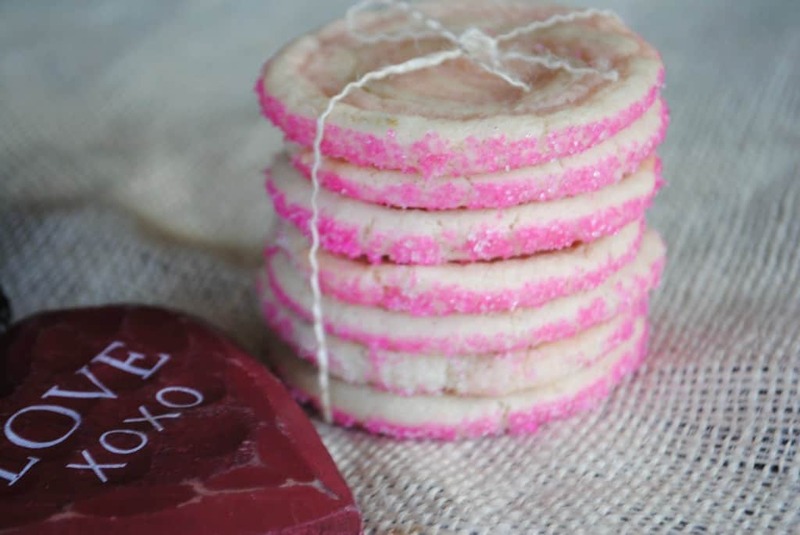 Or are you totally over cookies at this point? I like to bake cookies (in case you didn’t notice) and keep them in the freezer. 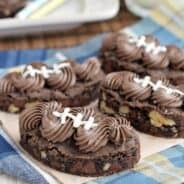 With 4 kids who pack lunches 5 days a week, it’s nice to have some treats on hand! 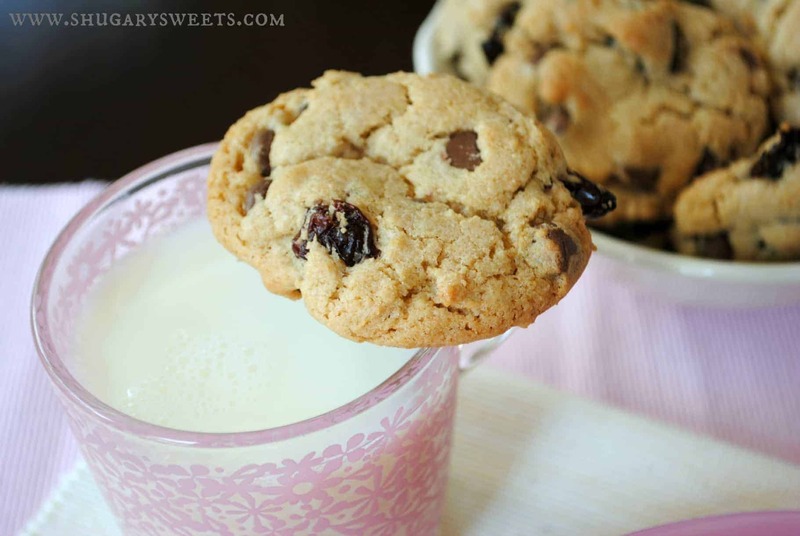 I love the combination of chocolate and cherries, especially this time of year! However, these cookies won’t put you in a chocolate coma, which is helpful. 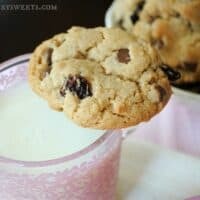 They have just the right amount of milk chocolate chips and dried cherries. Which means….you can eat more of them! With milk! 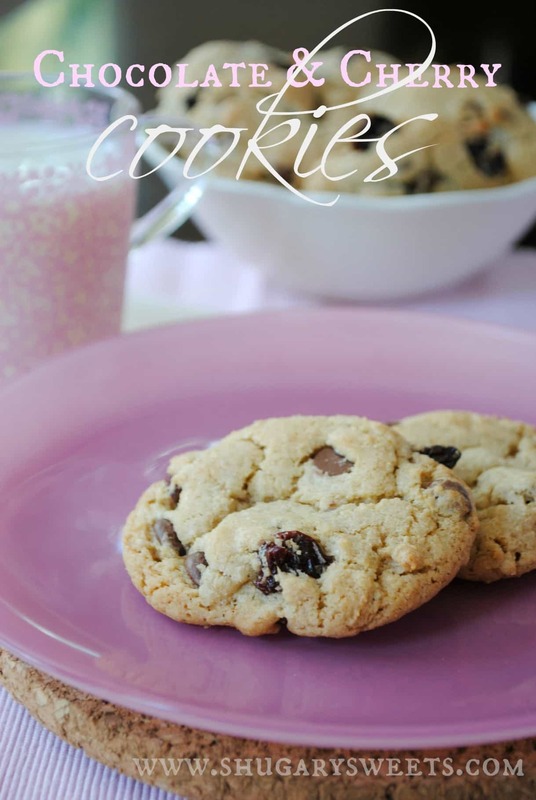 White Chocolate and Cranberry Cookies: another favorite winter combination! 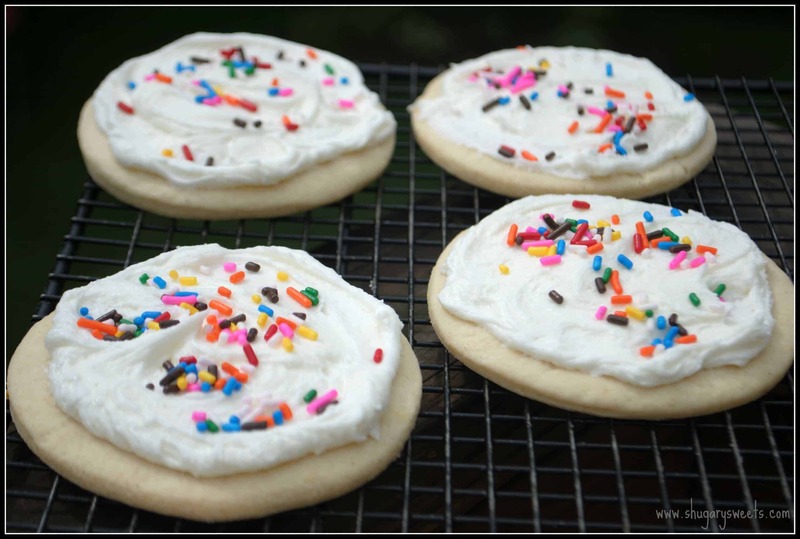 Rainbow Cookies: seriously addicting and possibly the best cookie dough ever! Vanilla Bean and Cherry Swirled Icebox Cookies: Keep a roll of these in the freezer to bake up fresh any day of the week! 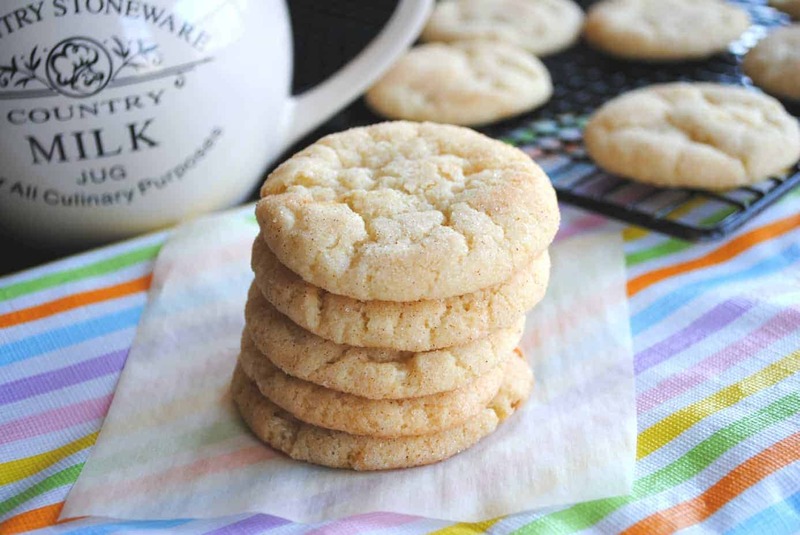 Vanilla Bean Snickerdoodles: the only snickerdoodle I will ever make! 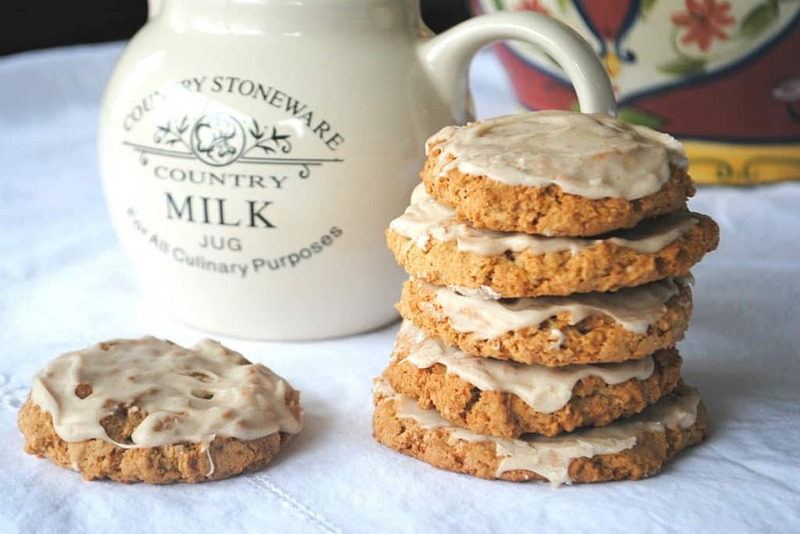 Iced Oatmeal Cookies: a little bit crunchy, a little bit soft. Perfect! In a mixing bowl, beat melted butter with sugars until creamy. Beat in eggs, one at a time. Add in vanilla. Slowly beat in flour, baking soda, baking powder and salt. Using a spatula, fold in the chocolate morsels and cherries. 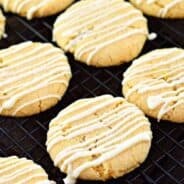 Drop by large tablespoon onto a parchment paper lined cookie sheet. Bake in a 375 degree oven for 10-12 minutes. Remove and cool on a wire rack. ENJOY! I pinned the oatmeal cookies a long time ago and still want to make those! Wow, I have never regretted being allergic to cherries as much as right now. These look really awesome. I know I should be over cookies or at least feel like I got them out of my system, but I don’t. I so want to try these!! Love chocolate cherry combo! Oh wow all of those look amazing! Thanks for some recipes. 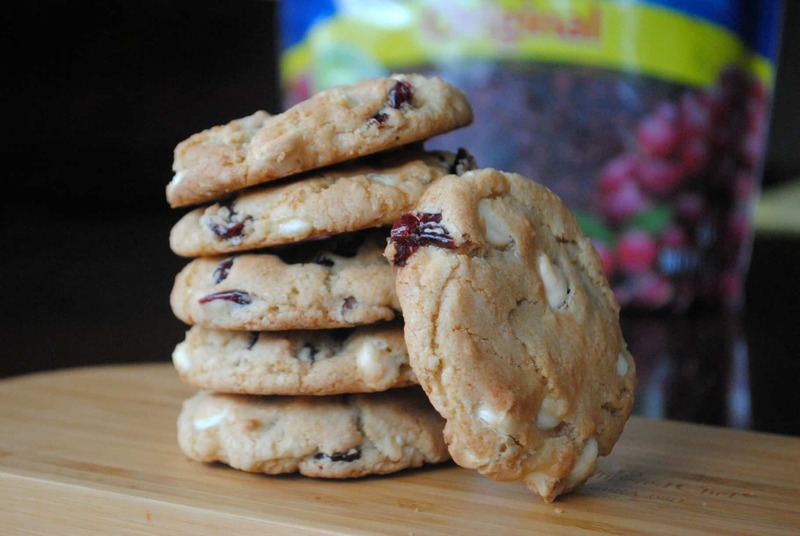 I love dried cherries in general , so in cookies they are perfect. 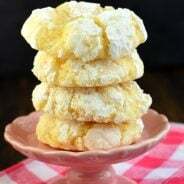 I will never be over cookies, no not ever!!! 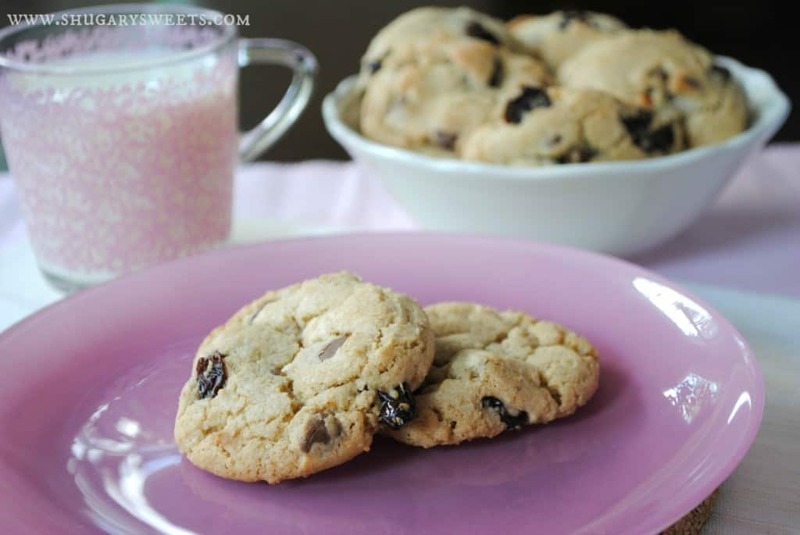 There are almost always cookies in our freezer too 🙂 I love the dried cherries in these!!! Thanks Jocelyn, Happy New Year! !